The food blog world is a unique universe. I subscribe to a variety of food blogs which I enjoy reading, and every so often read a recipe that I know I will have to try myself. And I thought it only fair to share a few of my favorites. A few weeks back, my pal Nat suggested we invite ourselves over to our neighbor’s house for a swimming and lobster roll party. Nat would get the lobsters, I would cook, and the Glynns would host. (Unbeknownst at the time to them.) I thought it a fine idea and, being a native Californian, began researching how you make a lobster roll and what kind of things go well with it. Turns out the most popular traditional accompaniments are dill pickle, potato chips and cole slaw. Cole slaw! A thing I love, even more so since I discovered an insane recipe on one of my favorite blogs, Attempts in Domesticity. Cole slaw made with pickle juice and hot peppers! With minor variations, it’s become my go-to cole slaw. Even though the original recipe came from Bon Appetite, I associate this with “AID” and give Jessica full credit. Without her, it would’ve never made it into my repertoire. I also considered that we might want to have an appetizer. And my mind went immediately to another crustacean — crab! 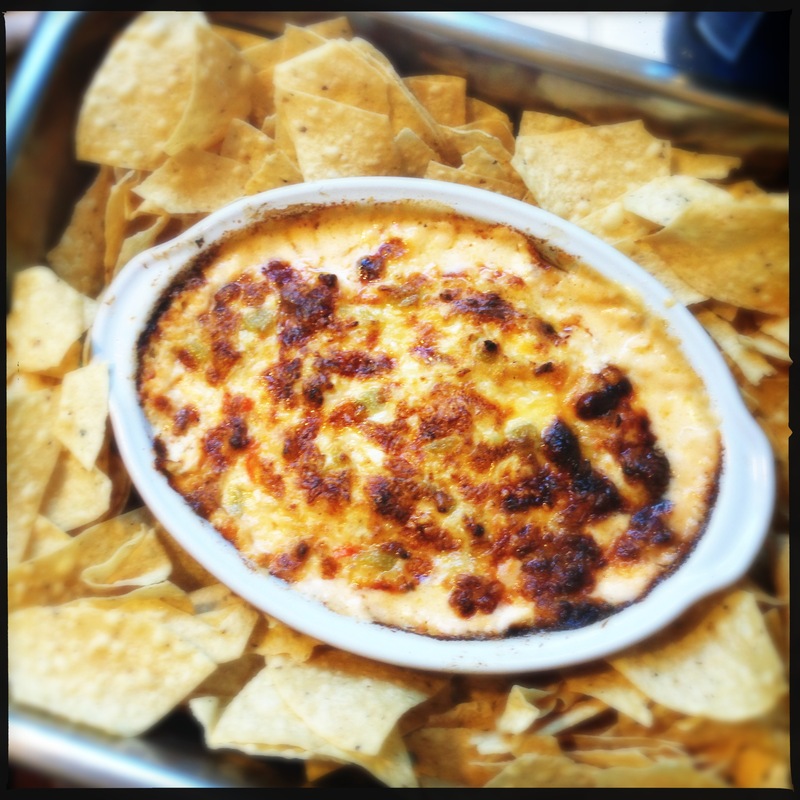 Recently, the fine blog Erica’s Recipes featured a post on crab dip. I’m a sucker for anything featuring my favorite crustacean, and it sounded delicious… so I made it for a dinner party we were hosting. It was so good I made it again later in the week for a dinner party we were attending. I made it a few nights ago for Nat and his parents visiting from Virginia, and now I would make it for our lobster roll swim party! Fast forward a few days and half a dozen thousand miles to the northwest, and the blog Taste of Japan — Japanese cooking school Tokyo (a long name, I will admit), where I discover a recipe for kakuni, Japanese pork stew. The blog features lots of fun Engrish translations (I love lines like: “The pork became melting texture yum!”) and delectable recipes. I’m not normally a fan of stew and almost passed this one by. 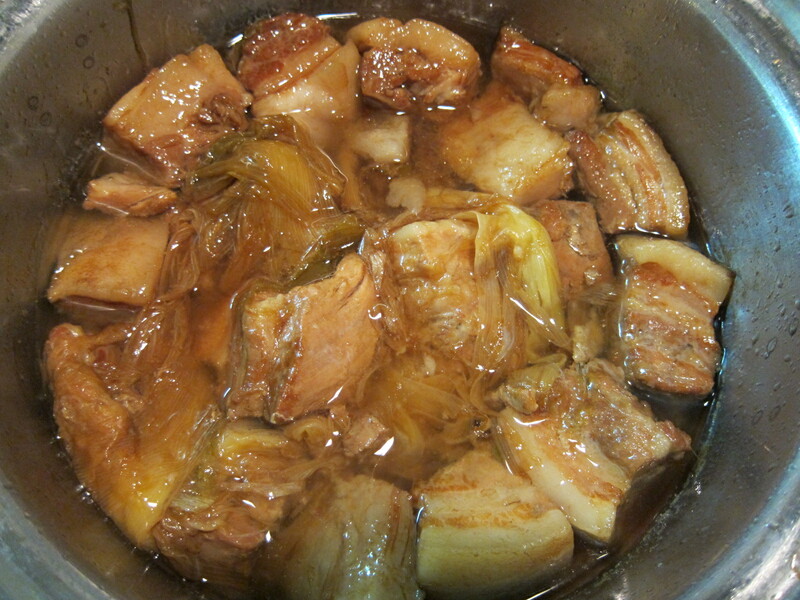 But then I read it — pork belly long-simmered with Japanese leek and saké. When I close my eyes and dream of paradise, that’s pretty much what I see. As is my habit, I like to tweak things to my own liking. The cole slaw benefited from pickled jalepeños and a few generous dashes of Frank’s Red Hot sauce for example. To Erica’s crab dip I added fire-roasted green chiles, Old Bay and more crab than suggested (can never go wrong with more crab). And Mari’s long-simmered pork shoulder was, to my particular tastes, improved by cross-scoring the fat, pan-searing prior to braising, and crisping up under the broiler before serving. And then, of course, there was one of my most favoritest recipes from one of the best blogs, my neighbor Glennis’ Doves Today — Jim Lahey’s easy French boule. I had no improvements to this one, because a perfectly baked bread just out of the oven is as close to heaven as you can get. 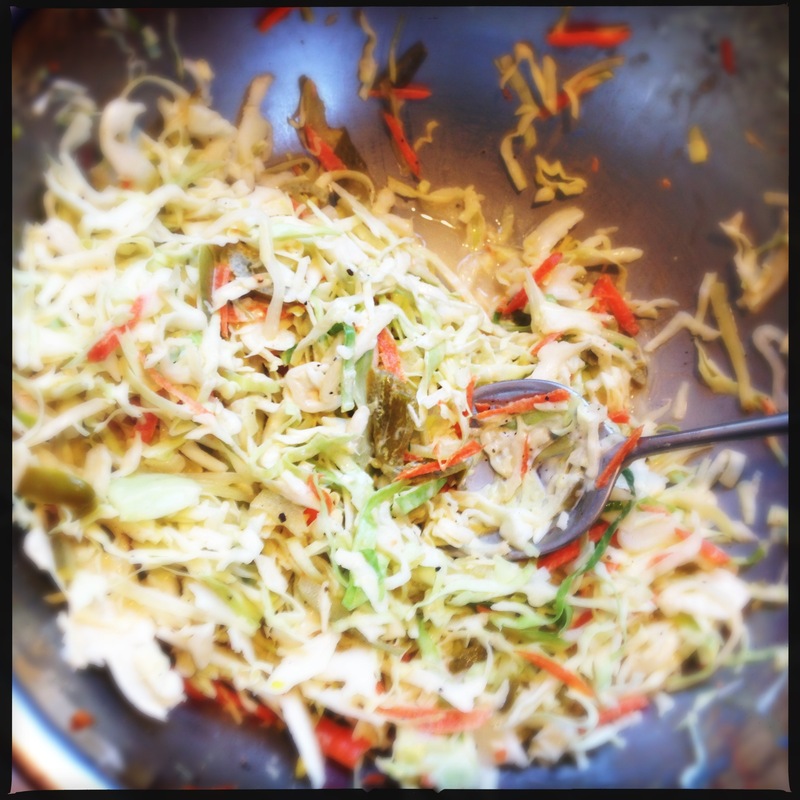 =) Thanks for the shout out — glad you liked the slaw as much as I did. Pickle juice does amazing things! Also I want that pork belly in my belly. Now. You should put it there.